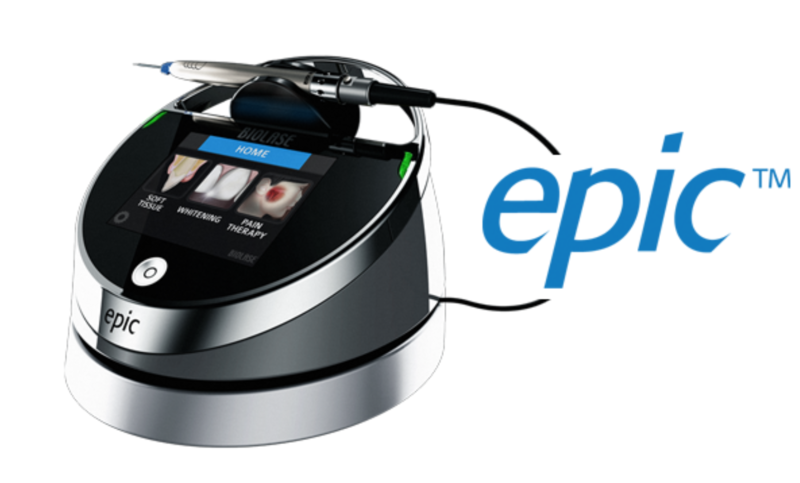 With the use of the EPIC laser from Biolase, periodontal surgery can be completed with cleaner cuts, better control of bleeding and maximal patient comfort. The laser can also be used for pocket reduction therapy for patients with advanced periodontal disease. Finally, the laser can be used to aid in the relief of herpetic lesions and pathos ulcers.